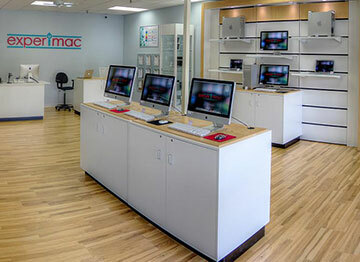 Secure Data Recovery offers Winchester, VA residents top rated digital forensics and data recovery services. All of our offices have an A+ rating with the Better Business Bureau and Secure Data Recovery was ranked the #1 Data Recovery company by Top Ten Reviews. Our experienced engineers in Winchester can recover data from any file loss scenario including server failure, RAID failure, damaged hard drive, damaged circuit boards, and many more. Secure Data Recovery can get your data back quickly, regardless of your media type. Here are some of our featured services in Winchester. Secure Data Recovery is the leader in the data recovery and digital forensics industry. We invest in research and development so our technology and our team of expert engineers are able to recover data from any type of digital device including smartphones, hard drives, servers, RAID arrays, SD Cards, Flash Drives, and many more. Call our customer service team now to start your risk free case. Our laboratories operate state-of-the-art Class 10 ISO 4 cleanrooms, guaranteeing that we are providing the best environment to recover your data while in our lab. Secure Data Recovery Services is also a GSA contractor, meaning that we are cleared to service local, state, and federal government agencies for their data recovery needs. Call our exceptional customer support team at 1-800-388-1266 and ask about no recovery, no charge guarantee. Our customer support team is available 24/7 everyday of the year. Call now to start your risk-free case. Our support team will help you set up a risk-free device evaluation, help you choose a service plan that specifically fits your needs, and help set up a device pickup time. We also offer 24-hour emergency services for customers who need their data fast. Accidentally broke my USB drive with EVERYTHING stored on it. Pictures, documents, address files. This was over the Christmas holiday, Alec Sakenes was quick to contact me by phone and email. walked me through my options. Less than 10 days later I had all my date retrieved. Secure Data Recovery is awesome and I very much appreciated Alec involvement in the process to help me understand what options were available. I had an internal drive on a Bitcoin mining machine get fried. Mitchell and the professionals at Secure Data Recovery managed to retrieve all the data that I thought was lost forever. I give them gold stars for their professionalism, secure practices, and most of all their skill. I'll quickly recommend them to anyone I meet with data recovery needs.